After wrapping up two full days of evangelism training at the Evangelism and Cross Cultural Missions conference in Maracay, we had a worship and prayer event, particularly seeking a fresh infilling of the Holy Spirit for the work of evangelism. Creativity to apply what had been taught. This went well with a leading I had received about a message on nurturing your evangelistic passion. felt broken over past evangelistic failures. felt unworthy because of personal struggles. carried wounds of emotional hurts in their life situation. A blog post cannot adequately describe how the Lord used that word to open up some power prayer ministry. But this word of blessing over these pastors unlocked some healing prayer and restoration to many of these pastors. We moved into an extended time of prayer and personal ministry, with the leadership team doing much of the personal ministry, mostly for reasons of language. The Lord ministered healing and restoration during this time..
As I listened to testimonies during the debriefing time afterwards, it was clear to me that the Lord had done a truly deep work in the life of many of these men and women as they were preparing to return to their ministry contexts in the next day or two. 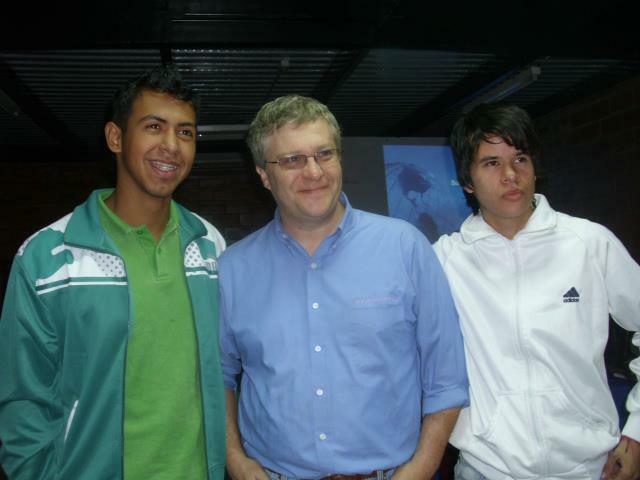 After the end of the first session at the Evangelism Training and Cross Cultural missions class in Maracay Venezuela, these two young youth pastors approached me with their question. They were eager to discuss specifics to their situation. Further conversations with me revealed a frustration with current methodologies they were using, particularly focused on random contact street evangelism using a gospel script. Their young adults were not showing up. Those who did seemed to make a half-hearted effort to reach out to strangers. After every class, they kept asking me about evangelism strategies. 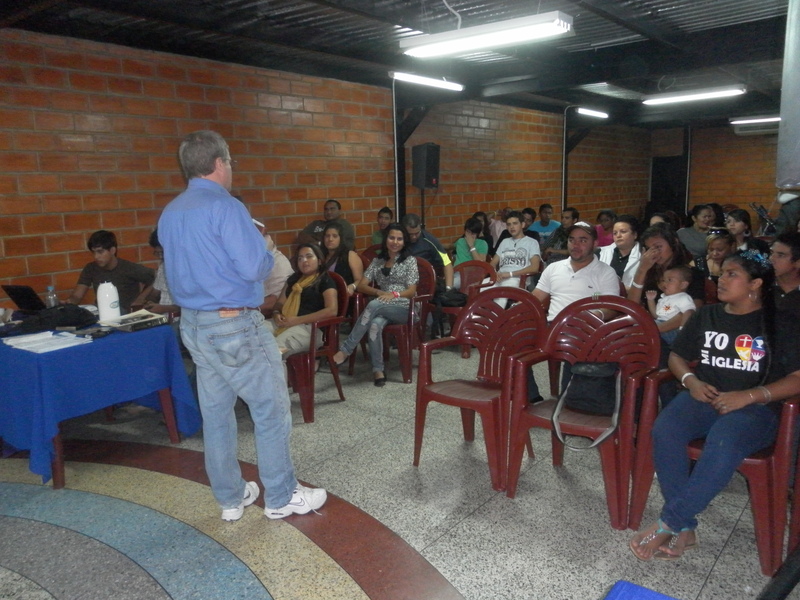 The class context (with pastors from all over Venezuela) was not the right place to address their particular local concern. So as classes continued, they kept waiting and asking when I’d address their topic. I had to keep asking them to wait, so that I could more teaching out there for them to interact with. Finally, during some free time one afternoon, we sat down and talked. They had listened to the content and found ways to apply my content to their situation. the stickyness of relational conversions. They started brainstorming about ways to encourage their youth group to reach their existing relationships of school peers. They began brainstorming ways to help their existing group develop those relationship with evangelistic influence in a genuine way. What excited me the most was to their passion and energy get reignited in the face of the obstacles they faced. Watching those “a-ha” moments gave me a sense of deep satisfaction that we are living out our calling. Based on my prior experiences, I know these youth pastors will return and work at implementing some of the ideas they generated. 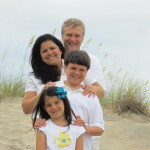 As a result of some teaching and some evangelistic coaching, they renewed in their vision. Recently, a young man has been coming to our house to study his English materials for an afternoon school he attends. We’ve been feeding him lunch these last few weeks and learned more about his story. He has no income at the moment. He is staying with a relative and using his savings to support her. He eats 100% of the lunch we feed him. He gives careful attention to chewing every bite. There is even a careful and deliberate eating of every single grain of rice. Our family typically eats rice and can’t quite seem to get every grain, while this man makes sure each grain is eaten. Typically, our ministry is involved in training the church or conducting classes of some kind. But this is really the first time we get to feed those in need. We’ve done food distribution as a church, helped raise funds for food packages, but this is our first time cooking a meal from our own resources. This feels different to us. This is a person we have gotten to know. He is not nameless face in a poor part of town where our ministry often takes us. He is a friend in need. We are grateful the Lord has provided for us so that we can provide this meal. We know enough of this man to know this won’t be a situation for ever, nor do we feel taken advantage of. We are grateful the Lord has provided enough for us so that we can share. Thanks to God for the provision to be part of this work of mercy. Note: I’ll be going to the Dominican Republic in March of 2012 to provide training for leaders of that country’s young life ministry. If you’d like to make a gift towards this project, visit our Support page, or make your donation on line via the button on the side. If you use Paypal, please email me a copy of the receipt so I can make sure it’s processed correctly. Below is the video script for those who’s rather read than watch. 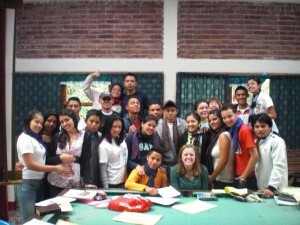 PRMI Latin America began it’s work along side of Young Life Nicarauga in the early part of 2000. Young Life, or Vida Joven in Spanish, is a parachurch organization that seeks to reach teenagers in high risk neighborhoods. From it’s early beginnings in Matagalpa Nicaragua, Young Life Central America now ministers in the barriros of 7 central American countries from Mexico to Panama. Only Jesus can help people overcome their past, find forgiveness and healing, and discover how to help advance the kingdom of God. Poverty, gangs, crime, and lack of available food. Broken family systems where one might have 18 – 25 half siblings. Living on a garbage landfill recycling scrap metals. Others work among the universities and upper social classes. All are seeking to reach to reach marginalized teens for Christ for the transformation of nations. PRMI Latin America has made 8 trips to come alongside leaders in this evangelism work and our DNA has worked it’s way into the leadership. I’ve been part of every team after the first visit. PRMI Latin America has it’s roots in the outpouring of the Holy Spirit on a ball field in Nicarauga upon the spiritually thristy leaders of young Life Nicaragua. Brad Long was there at the invitation of Vida Joven Founders Jim and Sarah Hornsby. They were just kids, having a passion to reach their generation for Christ, but encountering spiritual obstacles that they didn’t understand or didnt’ know what to do. or filled with hatred because a sibling was killed in a gang. Year after year, we shared the Dunamis teaching with national and area directors who over see ministry to hundreds of teenagers in 7 countries. Several leaders from that day on the ball field recall what a difference it has made in their life and ministry. The teachings of Dunamis has enabled them to discern what God is doing, how to minister in a team, and given them to confidence to deal with the demonic as they encounter it. Their old worldview of being scared by the supernatural has been replaced with knowing how to join in the work of the Holy Spirit. Several of those men and women have stepped into positions of leadership at a national level. Others are overseeing the development of Young Life fields of El Salvador and Panama. This is the impact of Dunamis – equipping young life leaders to reach thousands of teenagers for Christ. go to places we can’t go. think like the culture thinks. understand the subtexts of issues and meanings. Assisting other local leaders to be more effective dramatically multiplies our reach. With their new knowledge and personal experience of ministering in the power of the Holy Spirit, they are able to do the basic work of evangelism in the power of the Holy Spirit in their own countries. They now have intercessory teams for camps, and ministry teams after talks. Over the years, we’ve spent time teaching the Dunamis over the years and are now teaching at two levels. Students have grabbed hold of our prayer style and how to minister in the power of the Holy Spirit to bring healing. Others are discovering the empowerment of the Holy Spirit for the very first time. It’s time to start releasing teachers to multiply the reach of Dunamis into the DNA of young life. Young Life’s goal is exponential growth over the next 7 years – to double the number of kids they reach for Christ. That means more Spirit empowered leaders, more equipping, and the need for teachers within Young Life. Imagine the evangelistic impact that PRMI Latin America is making: helping leaders cooperate with the Holy Spirit to bring teenagers to Christ. Because of the work of PRMI Latin America, other Young Life ministries are asking for PRMI Teams: YL Dominican Republic will have it’s second Dunamis team this March. Costa Rica and Panama are at the interest stage. Even leaders from Young Life North America are waking up to the need for Dunamis after watching the spiritual maturity of their Latin American leaders. We are in conversations about a healing week for senior leaders, plus teacher training for Young Life staff to multiply teachers throughout their organization.